An open listing format that would allow you to privately pursue the sale of your vessel without incurring any type of commission or fee, while also engaging our services to work in tandem with you as a complimentary sales resource. Simply put, we would not collect a brokerage fee for a prospect that we did not procure through our marketing efforts. In addition, you would continue to enjoy the use of your vessel at the location of your choice while we work to accomplish a sale on your behalf. A competitive brokerage fee structure with fees as low as 5% of the final sales price (a $2,500 minimum fee applies for sales less than $50,000). This is a strong deviation from the industry standard 10% fee. It is our belief that if we strive to have more listing customers and, consequentially, more products to offer, we will draw more traffic and in turn greater potential market interest to your boat. The self-fulfilling prophecy that “success breeds success” is true when you consider how the Internet functions (search engine optimization) as well as how the buying process proceeds. 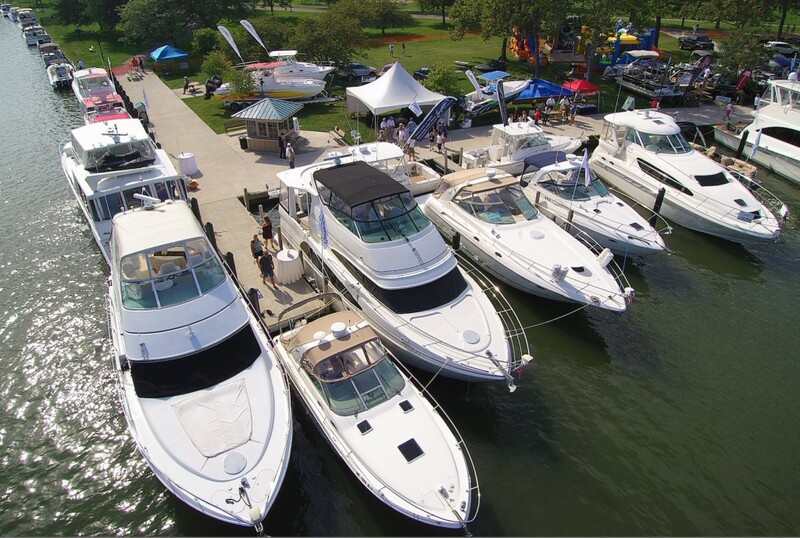 If a prospect can see a greater selection of boats that interest them, located within a tighter geographic area, the potential for the prospective buyer to utilize Temptation Yacht Sales, Inc. as their primary broker increases, which in turn increases the potential sale of your vessel. Temptation Yacht Sales, Inc. also offers, as a service to our customers, the “co-brokerage” option to encourage other brokerage firms to provide prospective buyers for your vessel at the traditional 10% brokerage fee. The increase in commission fee is a necessary feature on a co-brokerage offering, as without it you do not encourage other companies to engage. This approach technically broadens the net you cast to find buyers. After consideration of our terms & fee structure being amongst the most attractive available, we set out to make our Marketing efforts the best in the industry. ▪ Each listing receives a (web-based) complete and detailed listing description, a full specification summary, extensive high-resolution digital photos, a video walk-through of your vessel, the use of social media (Facebook), YouTube, and also al-la-carte feature / promotional spots to ensure an ongoing aggressive marketing campaign of your vessel. We encourage you to browse the “Yachts for Sale” page on our website in order to have a better understanding of how we present our brokerage listings. We do our best to merchandise your boat so that the listing offers an accurate impression of the overall condition of your boat by providing detailed as well as feature highlights of your vessel. ▪ Professional experience allows us to offer staging recommendations as a service to you to ensure that your boat is staged to be attractive and presented in the most favorable light. ▪ Utilization of more than 40 other available Internet databases will offer your listing the absolute best in online/internet representation. Simply put, once entered into our system if there’s a prospect for your boat it will be almost impossible for them not to see it if shopping online! We have provided extensive financial investment over the past few years to ensure our website is utilizing all of the most recent in Search Engine Optimization, ease of navigation, custom PBS (Professional Boat Shopper technology), and a compatible mobile website for tablet & mobile device users. In addition, our custom email template is sent periodically to our vast client/customer base (consisting of thousands of potential buyers) in order to market our most recent listings, featured boats, and company developments. Use of Social Media, International Partnerships, and Trade & Business Memberships all aid in our effort to maximize the exposure we offer to our brokerage customers. We have also grown as a company by expanding our number of brokers into desirable geographic areas including Northern, Mid and Southeastern Michigan, and Ontario Canada. Further, we are and continue to develop strategic partnerships with other brokers to share inventory, leads and promote business. Internet marketing is the most effective tool to reach buyers today and in the future. We still use traditional hard copy publications, attend local boat shows, network and keep engaged in the science and art of how to attract new clients. We are committed to continuous improvement to provide you with the best marketing platform to sell or buy your next boat. We strive to offer you the best customer service experience, and we are dedicated to promoting the boating lifestyle. Request a new listing package today!